As Part IX of the present work culminated in the complex conclusion that America’s Christian churches are Prophetically Paralleling the ancient Israelite assimilation of the religion of Baal, it’s instructive to re-iterate that fact. In reviewing these conclusions, it’s relatively easy to simply follow the external chronology, wherein we see striking parallels between the modern political sequences, and the ancient actions of the key individuals documented in Scripture. For example, in focusing on the Prophetic Parallel between Bill Clinton and Ahab, we see the following facts. Former President Clinton’s national career began when he became the governor of Arkansas, a prestigious position which commenced with his inauguration in January of 1979. His long career (he served two terms as governor) ultimately included two terms as President of the United States. As his second term ended in disgrace with his impeachment, his political career was obviously concluded, as his successor George W Bush was sworn into office in January 2001. Thus, Bill Clinton’s political career encompassed twenty two years. Over the years, we’ve learned the Prophetic Parallels (such as those we’ve seen in comparing the chronologies of Ahab, Jehoshaphat, Jehoram, and Jehu with Bill Clinton, George W Bush, Barack Obama, and Donald Trump), have a precision that is clearly supernatural. For example, when I realized the ancient set of four kingdoms in Daniel Two (Babylon, Persia, Greece and Rome, as represented by the statue dream of Nebuchadnezzar) Prophetically Paralleled the four kingdoms in Daniel Seven (Britain, Russia, Germany, and America, as represented by the Lion, Bear, Leopard, and Diverse fourth beast imagery in the vision of Daniel), I was stunned at the striking precision of the similarities. Further, even the fashion in which the Spirit of the LORD revealed these unusual patterns was unusual. As a case in point, when I was comparing the parallel kingdoms of Babylon and Britain, I had just seen a historical film called The Madness of King George, and I was unaware of the fact that George III of England had a bout with insanity – even as his physicians clandestinely treated him so that he could conceal his condition, and retain his throne. For those who flunked history, it’s useful to realize that George III was the British king who sat on the throne when the American colonies broke away in 1776. “Four great beasts came up from the sea, diverse one from another. The first was like a lion, and had eagle’s wings: I beheld till the wings thereof were plucked” (Daniel 7:3, 4). As King George III lost the Americas in 1776, the event conforms to the prediction in Daniel Seven, concerning just when the colonies, represented by the “eagle’s wings,” were separated from the crown of England, which is widely seen under the emblem of a lion standing on his hind legs. Moreover, as the direct parallel exists between Babylon and Britain, it was that very same king of England who lost his mind, but was secreted away until his reason returned. “But at the end of the days [of madness], I Nebuchadnezzar lifted up mine eyes unto heaven, and mine understanding returned unto me…” (Daniel 4:34). After many years of research, I found comparably eerie parallels between the Persian Union and the Soviet Union, Alexander’s Greece and Hitler’s Germany, as well as Rome and America. Although we’ve produced many books, CD’s, and DVD’s on the subject, the most definitive is the Rise and Fall of the Romerican Empire. 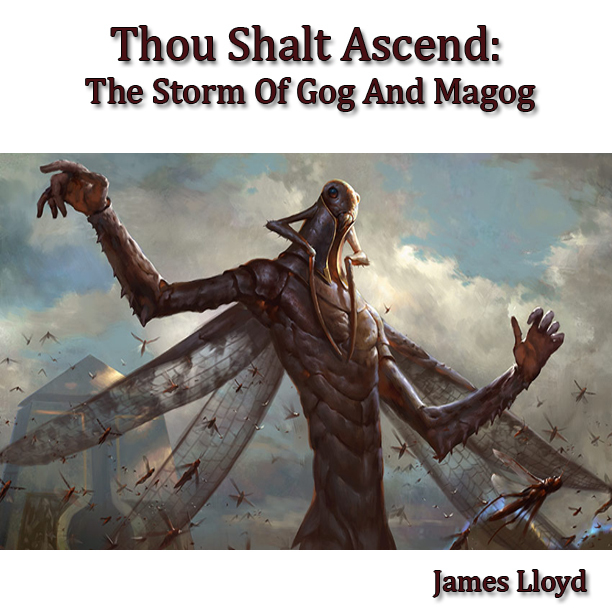 As these sweeping chronologies are breakthrough in scope, and they terminate in America (where the Jehu and Jezebel sequence picks up the narrative), I would be remiss if I didn’t mention one more amazing aspect of this “Armageddon Script” (yet another term I use to describe the subject of the Prophetic Parallels), before returning to the present timeline. The Black Horse was demonstrably connected to the black shirts of the SS in Nazi Germany (the Leopard in Daniel), and the Pale Horse (with the word pale derived from the Greek word chloros, where we get the green in chlorophyll) is personified by the modern resurgence of Islam – which has a green flag. The color green also has an environmental motif as well, as the global warming alarm continues to blare in America. When President George HW Bush announced the New World Order in 1991, even as he was honoured as a knight of the British Empire, few realized yet another temporal recapitulation of the White Horse had begun. After Bush senior, Moscow educated, leftist Bill Clinton as the Red Horse arrived, followed by the self professed “war president” George W Bush as the Black Horse. Barack Hussein Obama’s Moslem orientation easily identified him with the Pale Horse. I have previously written about my search for what would happen next, sequentially speaking, after Barack Obama’s manifestation of the fourth horseman, the Pale Horse. As the end of Obama’s presidency approached, and I sought the LORD for direction, the obvious trajectory would be to examine what follows the Pale Horse in Scripture. That is, of course, the fifth seal – where we find the martyrs of Jesus. “And when he had opened the fifth seal, I saw under the altar the souls of them that were slain for the word of God, and the testimony which they held: And they cried with a Loud voice, saying, How long, O Lord, holy and true, dost thou not judge and avenge our blood on them that dwell on the earth? And white robes were given unto every one of them; and it was said unto them, that they should rest yet for a little season, until their fellowservants also and their brethren, that should be killed as they were, should be fulfilled” (Revelation 6:9-11). 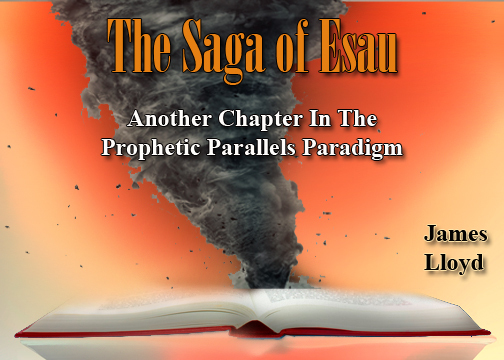 Because the Prophetic Parallels are clearly a genuine, supernatural phenomenon in both “scripts,” it will be instructive to combine both understandings and examine how the two scripts are connected. This means the one timeline, in which we see the four US presidents (Bush Sr, Clinton, Bush Jr, and Obama) as an accelerated temporal recapitulation seen in the Four Horsemen, must somehow bridge into the Jehu/Trump cycle where Donald Trump emerges as the successor to Barack Obama’s version of the Pale Horse. Once again, the point where the two different “scripts” meet is the period immediately following the Four Horsemen – i.e. the above passage in Revelation. However, there is another text which must also be taken into account. I’ll remind the reader the Four Horsemen not only represent the last four consecutive presidents (since “the New World Order” was announced in 1991 by George HW Bush), they also represent the larger sequence of kingdoms seen as the Lion/White Horse kingdom of Britain (as well as the colonial era), followed by the Bear/Red Horse kingdom of Russia (pinpointed at the rise of Communism in the Bolshevik Revolution in 1917). This progression continued through the Leopard/Black Horse of the Nazis (Industrialist/Fascist era ending with the conclusion of World War II), and finally the Pale Horse of America (as seen in the National Security State formed in 1947 under the authority of the National Security Act, and the birth of the UN and globalism). This means the prophetic texts which immediately follow the Four Kingdoms in Daniel 7 (Lion, Bear, Leopard, Diverse Fourth Beast) should resonate with the prophetic texts which immediately follow the Four Kingdoms in Revelation 6. Further, the particulars of those verses should also fit the narrative back in II Kings, which describes the phenomenon of the Jehu – Jezebel Prophetic Parallel we’re seeing in President Trump. We’ll start with the relevant texts in Daniel 7. In that segment of the still unfolding story, we see the Fourth Kingdom, which is imaged as the “Diverse Beast” we’ve long identified as America. Further, the timeline picks up the progression right after the end of the Nazi terror, at the end of World War II. “I considered the horns [on the beast], and behold, there came up among them another little horn, before whom there were three of the first horns plucked up by the roots: and behold, in this horn were eyes like the eyes of man, and a mouth speaking great things” (Daniel 7:9). Since adjacent texts describing this Little Horn show it is closely associated with Antichristian imagery, in that the horn “made war with the saints” (Daniel 7:21), and the tiny nation of Israel arrived at this very point in the chronology, we’ve long identified the Jewish state with the Little Horn. We might also add that, just as the US political figures (Bush, Clinton, Bush, Obama, Trump and Hillary) do not physically kill the other players in their timeline (even as they recapitulate what Jehu did to Jehoshaphat, Jehoram, and Jezebel), the “war” the Little Horn entity wages against “the saints” can also be relatively civil. Indeed, the New Testament pointedly tells us the “war” involving the Christians is in the realm of the Spirit. “For though we walk in the flesh, we do not war after the flesh” (II Corinthians 10:3). This helps to bring into focus the corresponding period in Revelation, which occurs immediately after the Four Horsemen, where we do indeed see “the saints” who are “slain for the word of God, and for the testimony which they held” (Revelation 6:9). This clearly connects their martyrdom with the persecuting entity of the Little Horn. In fact, this period is placed in the time of Donald Trump. “And Jehu gathered all the people together, and said unto them, Ahab served Baal a little; but Jehu shall serve him much” (II Kings 10:18). It is at this juncture that we again need to be reminded that Old Testament events, which are largely of an external earthly nature, are repeatedly stated to foreshadow internal events, which would be manifested in the Spiritual realm. Further, the Scriptures say these things “happened” as examples (or even warnings), “for our admonition” (I Corinthians 10:11). Since the Apostle Paul’s doctrinal statement was obviously being made to the Christians at Corinth, he was saying the things that happened in Old Covenant Israel’s past were supernaturally engineered to warn the Christians of important events to come, which would echo what had already occurred in times past. This fact indicates that the ancient account of Jehu (who is now inextricably tied to Donald Trump) embracing religion as a calculated ploy to achieve an objective, is an event that should not be taken lightly. Indeed, even the adjectives used in the narrative describing Jehu’s actions resemble Mr. Trump’s superlative laden style of speaking. “I have a great sacrifice to do to Baal” (II Kings 10:19). “And there was given unto him a mouth speaking great things and blasphemies” (Revelation 13:5). 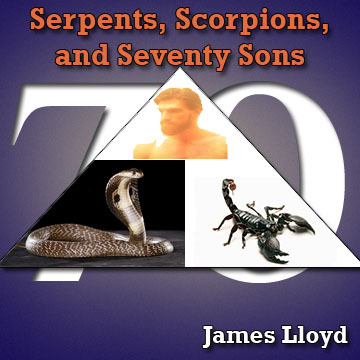 Since the successive kingdoms in Daniel 7 (the Lion, Bear, Leopard and Diverse Beast) are synthesized into one beast (which is obviously America), this verse also connects the “great things” of the American Antichrist beast (Revelation 13:5) with the “great things” of the Israeli Little Horn (Daniel 7:9). When you consider that Donald Trump’s signature slogan was and is “Make America Great Again,” the prophetic indicators are overwhelming. At the New York meeting of the denominational leaders, the prominent pastor James Dobson of Focus On The Family also noted how the house was full. “I am delighted to be here with the Gospel greats. It’s just a wonderful thing to see this assembly. It’s wall-to-wall and front-to-back“ (Transcript of Trump’s Private Meeting With Evangelicals, published on Yahoo). Christian Media also has a regularly issued companion letter commenting on the material seen in TWIN TIMELINES Part X. The latest edition of that letter (entitled the MINISTRY STATUS REPORT), has even more prophetic projections concerning the Prophetic Parallels and Donald Trump – and how he fits into Bible Prophecy. Further, Christian Media has an eye-opening, on-demand video elaborating on the crucial facts seen in this article — which also includes predictions concerning the enormous turn of events associated with the Trump phenomenon. However, the enemy has already sown tares in this vineyard, and we choose not to provide the website links here, as those who think they’re doing God service are tirelessly trying to excise the truth from the Internet. Viewing of the online video on this subject is completely free, and we greatly desire as many as possible will see it (a new video will replace it in another week), but to examine this subject further, we ask for a green light from you to send you the link. Further, because there are many vested interests which are threatened by the content the Christian Media ministry provides, regular efforts are made to penetrate our ranks – including hacker attacks. Incredibly, we’ve already proven that “Christian” parties have actually hired hackers to take down our websites. Thus, we desire to weed out those who are insincere about further examinations of the truth of the Gospel, so we send the links to our Internet materials via surface mail. To get our current Internet links, and receive full access to Christian Media materials, simply reply to this email with the word YES! in the subject line, and your name and postal mailing address in the body of the email, and we’ll send you the links to the multiple websites Christian Media operates -- which freely host extensive written prophetic material, multiple radio shows, and the video related to the above prophecy article. Alternatively, to be removed from the database sending out our information, simply reply with the word REMOVE in the subject line. your email name in the reply. If You’re Energized By What You’ve Read In The Above Prophecy Article, Welcome To The World Of Christian Media! 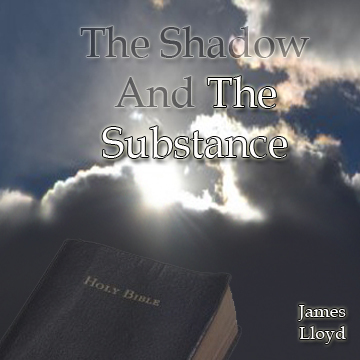 In a recent series of broadcasts, James Lloyd examined The Shadow and the Substance, a cluster of Scriptures which reveal that this physical world is referred to as the "shadow," whereas eternity in Christ is the "substance." This amazing material tells us a great deal about heavenly things, and now that video is on DVD. Traversing The Triuniverse is a unique new studio audio narrative from James Lloyd. 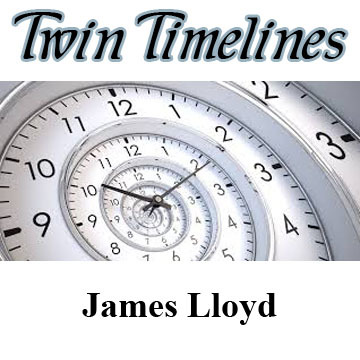 Based on the article of the same name, James reviews the twin timelines concept, which has been previously examined, wherein the New Testament events parallel the Old Testament sequences. Now, in Traversing The Triuniverse, he takes the prophetic parallels a step further, showing how the Spiritual fulfillment is the substance, but the physical timeline, inhabited by the Spirit of Antichrist, which is the shadow, takes the same sequence, and reverses the roles. Those famous words, familiar to Christians reading the New Testament, are spoken at the time of judgment, when the Bible says MANY will be turned away. Most believers are also aware of the ominous response in which Christ tells this "many" to depart from Him, as He never knew them. This book includes the astonishing prophetic metaphor where Jonah, symbolizing Old Covenant Israel, resists the call to prophesy to the Gentiles, and sails to Europe to escape the LORD's will. Swallowed up in symbolic Death – and then deposited back onto the land, where the Christ rejecting state re-emerges in 1948 as an involuntary witness, Jonah is an important figure in prophecy. Meanwhile, true Spiritual Israel is seen passing through the sea, walking in the will of the LORD, at the Exodus, even as the earthdwellers (the Egyptian host in the text) are destroyed. 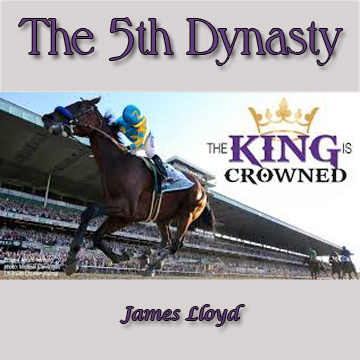 In this amazing book, James brings together all the components of prophecy, including the Prophetic Parallels, the 6, 7, 8 Cycle, the Beast That Was sequence, the Little Horn, and the Twin Timelines of Bible Prophecy. Integrating these modularized phenomena into a seamless whole, The Rise and Fall Of The Romerican Empire deciphers Bible Prophecy in an unprecedented fashion. The identity of Antichrist is again revealed in this work, as well as clearly showing where we are now in the prophesied sequence of events. His largest book in 20 years, the Rise and Fall Of The Romerican Empire is the definitive work which systematically presents the truth of Remnant theology. This book details how the Spiritual entity is essentially the opposite of the body of Christ. Symbolically articulated in the book of Revelation as the Image of the Beast, the Spiritual formation could also be described as the body of Antichrist. This polarity places the body of Christ on one end of the Spiritual spectrum, and the body of Antichrist on the other. The Culting Of Christianity links Egyptian mysticism to leaders in the early church, as well as Jewish opponents of Christianity. 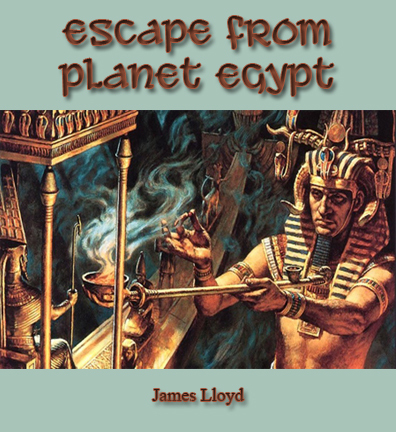 An incendiary breakthrough, James conclusively shows the idea of a pre-tribulational evacuation was written in religious documents before Jesus was born. 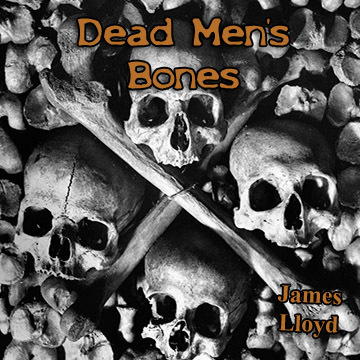 And it doesn't stop there, as James tracks how Occultic writings influenced the development of early Christian doctrine. 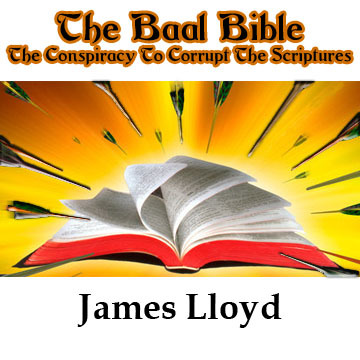 The first new DVD from James Lloyd in several years, this 2 hour TV program examines the rapidly growing idea the appearance of "the" Antichrist will be tied to the prophesied Moslem saviour figure known as The Mahdi.